Pharmaceutical Manufacturer DSCSA Compliance Starts Here! PIMS Fully Serialized Manufacturing and Distribution Solutions. See How PIMS Can Help You! Increased Accuracy. 100% Traceability and Support for Secondary Packaging. Tailored to Your Unique Environment. Streamline Technology’s PIMS system is a comprehensive DSCSA compliant business solution that can be tailored to your unique operating environment. PIMS simplifies new challenges of managing and harmonizing the different components that enable CGMP manufacturing and logistics; so personnel can remain focused on quality and competitive advantage. Streamline’s Pharmaceutical Inventory and Sales Management System (PIMS) is a modular software platform that supports everything from acquisition of Raw Materials, though primary and secondary production, to DSCSA compliant order fulfilment, sales, invoicing and chargeback processing. 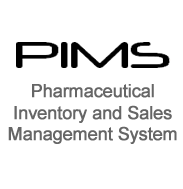 PIMS Logistics, Inventory and Supply Chain management is instrumental in our customer’s success in meeting the requirements of Drug Supply Chain and Trading Partner requirements. Our PIMS systems supports tracking of finished goods through the manufacturer’s operations including its warehousing and distribution centers using GS1 Linear, GS1 2D Datamatrix and RFID encoding. PIMS supports automated communications with all major retailers like WalMart, Target, Walgreens, CVS, and wholesalers like McKesson, AmerisourceBergen and Cardinal. PIMS also supports communications with small mom and pop pharmacies. 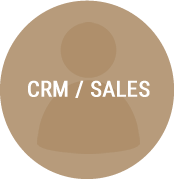 This includes purchase orders, invoicing and advanced shipment notice, and chargeback processing and response. PIMS’ contracts module supports GPO membership, contract fee calculations and commissions based on EDI 850 and EDI 844 sales. The time for Pharmaceutical Manufacturers, CMOs, and CPOs to satisfy the DSCSA and trading partner requirements is now. PIMS Pharmaceutical Traceability solutions for DSCSA are integrated into the packaging of finished dose packaged drugs and complimented by a host of mobile applications used by logistics and sales order fulfillment personnel. 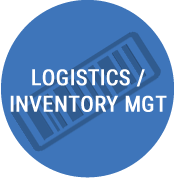 Fully serialized track and trace, PIMS Materials Management goes well beyond just a procurement and perpetual inventory management system. It is a quality system designed to ensure that finished goods lot genealogy contains only those raw materials and components that are released for production and this starts with your approved supplier list. 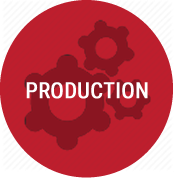 As an early adopter of track and trace, Streamline implemented fully serialized WIP production and packaging solutions in 2009. Our WIP Track & Trace solution supports WIP status management, bar coding, mobile scanner applications and more. Today, manufacturers and distributors operate in a highly regulated and competitive business environment that relies on interoperable Track and Trace data. The Drug Supply Chain Security Act (DSCSA) makes it easier to trace drugs throughout the supply chain but adds challenges to manufacturing and distribution operations. Streamline Technology’s PIMS solution overcomes challenges in achieving DSCSA compliance.